Screens in schools: Good for learning - or good for nothing? There are so many conflicting opinions and so much conflicting research out there. When even the experts are at odds, it’s hard for teachers and parents to know what to think. For starters, what exactly do we mean by “screens”? Online learning, project-based learning, game-based learning, interactive whiteboards, desktops, laptops, tablets, smartphones? Screens, in other words, ain’t screens - and each variety comes with its own strengths and weaknesses as a learning device. And if screens come in many shapes and sizes - how about the kids who use them, or the purposes they use them for? BYOD and 1:1 programs in Australian schools often begin as early as pre-primary, and extend right up to Year 12. Technology may be used to introduce counting or calculus, the rudiments of literacy or the fine points of literary criticism. No wonder it’s so difficult to generalise about its impacts. Nevertheless, some clear findings have emerged. Today we examine the research that highlights the drawbacks. "Of course you can't compete with the internet!" There’s a reason BYOD programs are sometimes cynically referred to as “Bring Your Own Distraction.” With students increasingly bringing their own internet to school as well, in the form of personal smartphones, the problem of social media distraction has become acute. And even when schools use filters to block social media, students move to hotspotting their own data. "Having firm boundaries will help kids with their self-regulation." The age of internet has ushered in an epidemic that some researchers are calling “infobesity” - where kids have more and more information at their fingertips but less and less capacity to forge connections and generate meaning. Where “Googling stuff” takes over from in-depth exploration, in other words, learning suffers. The ease with which students cut-and-paste chunks of information can produce the illusion of knowledge without any real depth of understanding. It can also increase the temptation to plagiarise and cheat. Do our kids really need more time in front of screens? Some researchers advocate keeping classroom screen-time to a minimum to compensate for over-use outside of school. One of the impacts they point to is the increased incidence, all over the world, of myopia or short-sightedness - in the US, for example, short-sightedness has increased by 25-50% among young adults in the past 50 years. Screen-time doesn’t impair vision directly, a recent Australian study showed, but as a result of what researchers called the “displacement effect” of more time spent indoors, in artificial light. Australia's results in reading, mathematics and science have been declining for over a decade, while the presence of classroom technology has increased significantly. That’s not a cause-and-effect relationship necessarily. Yet the research examining the impact of technology on students’ academic performance does present a thoroughly mixed bag. While modest improvements have been recorded in a number of studies, one recent review reported in Education Next found that that allowing any computer usage in the classroom actually reduced students’ average final-exam performance. Other research has reported similarly underwhelming results for technology-assisted student learning. Initiatives that start with technology, rather than teaching, almost always fail. Yet the enthusiasm to adopt device-assisted learning can obscure the critical importance of quality teaching to produce quality outcomes. Interestingly, recent European research on the performance of 15-year-olds found that, in some cases, adding one teacher computer per classroom had more than 10 times the impact on improving educational performance than adding a student computer to that same classroom. 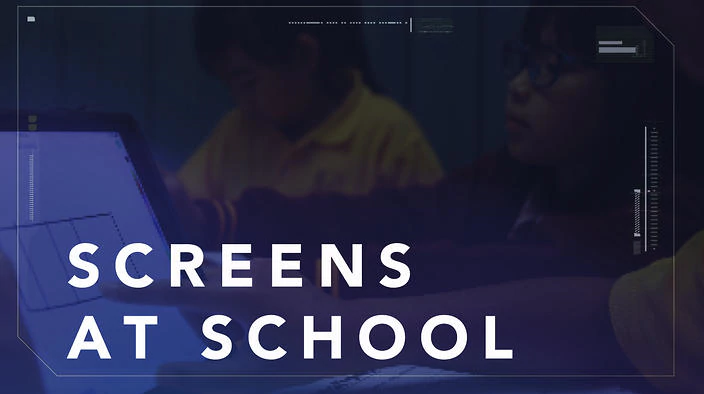 In the meantime, check out the SBS Insight program “Screens in Schools” via SBS On Demand, featuring Family Zone cyber expert Dr. Kristy Goodwin and a fascinating studio audience of school leaders, teachers and students. At Family Zone Education Solutions, we empower schools to maximise the benefits of digital learning, while minimising the risks and eliminating distractions. Our cloud-based technology can even manage students’ personal smartphones at school - and parents can opt in to do the same at home. If you'd like some more information please get in touch.